The ability of President Poroshenko and PM Yatsenyuk to bring order to Ukraine remains limited by Ukrainian radical nationalists, said Gilbert Doctorow from the Russia Insider website. 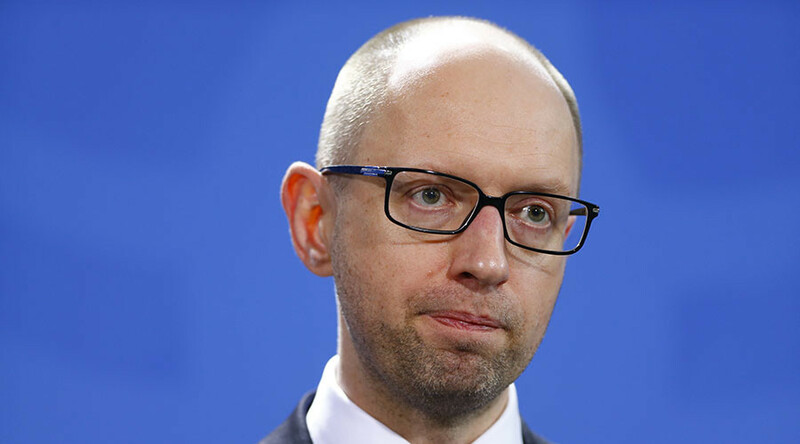 Ukrainian Prime Minister Arseny Yatsenyuk tendered his resignation on Sunday after weeks of political crisis in Kiev. 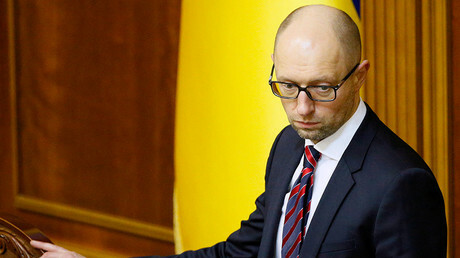 RT: What‘s your take on the timing of Arseny Yatsenyuk’s resignation? Why now? Gilbert Doctorow: I think the timing of Yatsenyuk’s resignation has to be linked to what occurred this past week, that is to say the Dutch referendum. This raised a feeling of crisis within the Ukrainian political elite and made his departure, which has been hanging in the air for the last two months, something essential so they would have a sacrificial lamb and appear before the Europeans, in particular, and the IMF, as well, to be making some progress in putting their house in order. The Dutch referendum was taken rather indifferently in Western Europe. It was said to be just an advisory opinion; it was said that 80 percent or more of the Association Agreement between the EU and Ukraine has already been implemented on a provisional basis, and that this provisional basis could continue for some time. So the impact of what occurred in Holland on the 6th of April was played down in many quarters. However, in Kiev, they understood very well that there were two elements of this that were very disturbing. The first, the obvious one, is the outcome of the vote. The second was perhaps worse for them – what preceded the vote. What their friends were saying about Ukraine. I have in particular the statements made by the European Commission President [Jean-Claude] Juncker and by Mark Rutte, the Prime Minister of the Netherlands. Both of them were saying essentially: “Don’t be afraid, citizens of Holland, Ukraine is not going to join the EU any time soon, in fact probably not in the next 20 or 30 years,” which in political terms is saying ‘never!’ Now that very damning statement, that expression of utter contempt for Ukraine by the senior leaders of the EU, was perhaps more damaging for the self-image of the Ukrainian leadership than anything that happened on the 6th of April. Second, what did happen on the 6th of April? There is an aspect of this that has gone largely unnoticed in the media, but not everyone has missed it. And I would like to praise in particular a think-tank here in Brussels, the CEPS, The Center for European Policy Studies, for coming up with a legal analysis of what happened on the 6th and what it means. The main distinction… is that there are two elements of the Association Agreement: one which required only the agreement of the EU Commission and the European Council, and that is the economic side to it. The economic side to it of course is giving the Ukrainians immediately almost nothing. At present it is a one way street; it opens Ukraine to European exports and it does not open European markets to Ukrainian exporters’ subjects to discussions. However, the other aspect of the Association Agreement – that is the political and the military aspects of it - which were not widely publicized. They cannot be implemented, they have not been, and they will not be implemented without the ratification of all 28 EU member states. And there, the Dutch know, is of decisive importance. Those of us who are Russia watchers, we’re very disturbed from the very beginning of the floating of this Association Agreement because of this sneak-in of certain provisions that would make Ukraine and Europe essentially prepare the way for NATO membership. It wasn’t called NATO, but effectively by coordinating European defense with Ukrainian defense, the way was laid clear. This is now a dead letter. RT: President Poroshenko tried to force Yatsenyuk out earlier this year, but the prime minister survived a vote of confidence. So why is he leaving now? GD: No, I think that people are missing the point. Yes, there was a contest for power and influence between Yatsenyuk and Poroshenko, and Poroshenko has won that, however that is only one side of the equation. These were two people on the same side of the dispute vying for power. The other side of Ukrainian politics hasn’t changed at all. And that is the war party, and that is the Pravy Sektor (the Right Sector.) Mr. Poroshenko’s ability to bring order - and that includes economic order to Ukraine - has been highly limited by the power of the radical nationalists and their war party. In a period of war it is unlikely that any serious reforms could be implemented in Ukraine. Also the precondition for a normalization of Ukraine’s relations with Europe, the implementation of the Minsk II accords, are something that Poroshenko and Yatsenyuk together were totally unable to deliver because of the opposition of the Right Sector and other extreme nationalists. That hasn’t changed.